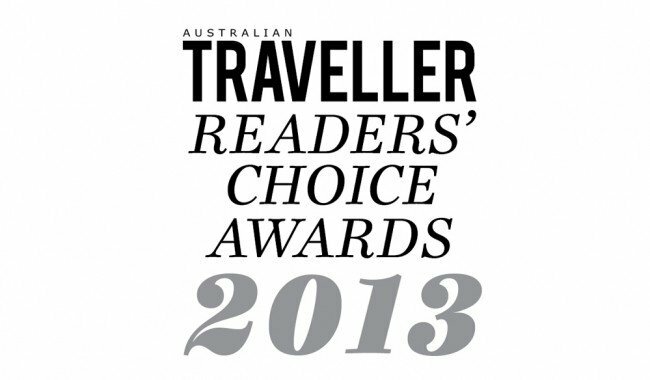 2013 Readers’ Choice Awards: Best Cruise Experience – The Kimberley Coast! Western Australia’s Kimberley Region won Ultimate Dream Destination and Best Adventure Holiday Destination, for the second year running at the recent Australian Traveller Readers’ Choice Awards. The Kimberley Coast was awarded Best Cruise Experience. Glen Chidlow, CEO of Australia’s North West Tourism said it’s great to see the Kimberley is a highly desirable destination and a place to experience adventure in its spectacular landscapes. “We have always thought cruising the Kimberley coast is a truly extraordinary experience and it seems that Australians agree. Remote pristine beaches, plunging waterfalls, wild rivers teeming with aquatic life and rock art sites are just some of the attractions to be witnessed. Our cruise operators do an incredible job and it is fantastic to see them recognised,” said Mr Chidlow. “Whether your Kimberley adventures covered land, sea or air, it seems the region has cemented itself as Australia’s adventure capital,” said Australian Traveller. “We have dedicated tourism operators in the Kimberley that have amazing knowledge of the region and congratulate them for their role in assisting the Kimberley winning these three awards,” said Mr Chidlow. “The awards are a fantastic result and good to see that a visit to the Kimberley tops the list when it comes to adventure, dream destinations and cruising,” said Mr Chidlow.